2009 is destined to be another good year in Pinot terms. This wine will be up there among the classics. Strong fruit flavors and that beautiful jammy finish which is the MacPhail trademark. The nose starts off mellow and with a hint of rose petal. 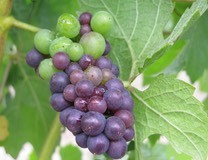 The underlying fruit is strong and reminds you of winters days with warm strawberry jam tarts sitting beside the fire. The finish is long and I am sure this wine will be around for a few years to come. I am confident this will get three smiley faces in the coming years.